In 2012 Mark was featured as Guest soloist with Wynton Marsalis and Jazz at Lincoln Centre Orchestra having been voted best soloist at the very first 'Essentially Ellington' competition in the UK. 2013 saw Mark involved in the national theatre's production of the Amen Corner, got the opportunity to play with the great Mulatu Astatke, played a support slot for Wayne Shorter at the Barbican (London jazz festival) with A quintet Mark co-leads with Ruben Fox(sax) and also featured on trumpet in the 'El Train', Hoxton Hall (directed by Sam Yates and Ruth Wilson). In 2014 Mark toured the world featuring in Peter Brooke's production of 'The Suit' and in 2015 he went on the road with the legendary Salif Keita and Les Ambassaduers. 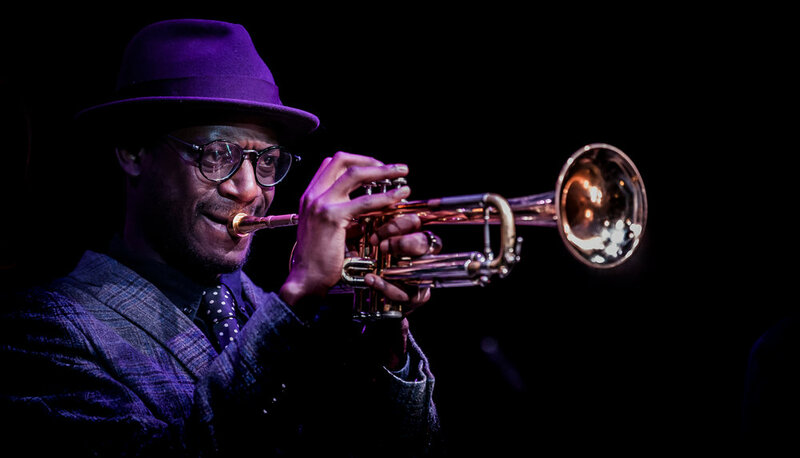 In 2016 Mark got another opportunity to play as guest soloist with Wynton Marsalis and Jazz at Lincoln Centre Orchestra performing the Gershwin songbook at the Barbican, before resuming his studies at Trinity College of music. He Featured in Hoagy B Carmichael's production of 'This Joint Is Jumpin' at the Other Palace Theatre (2017) before starting to work on his debut album which was released on Ubuntu Music, in summer 2018.